/By Justin Vest/ Dozens of volunteers took part in the National Doorstep Convention over the weekend under the banner of Progressive Maryland. 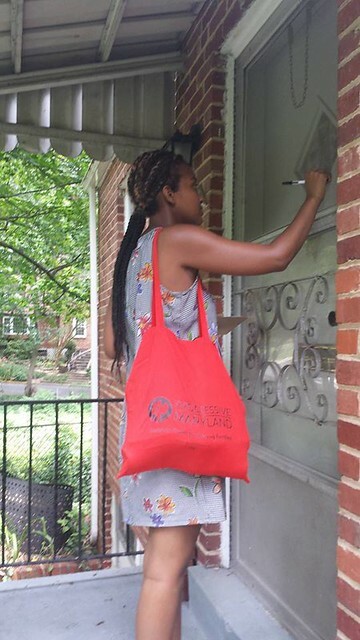 Organizers in three counties–Prince George's, Montgomery, and Howard–recruited dozens of volunteers to go door-to-door talking to residents about the organization's campaigns and to hear from them about their top concerns. 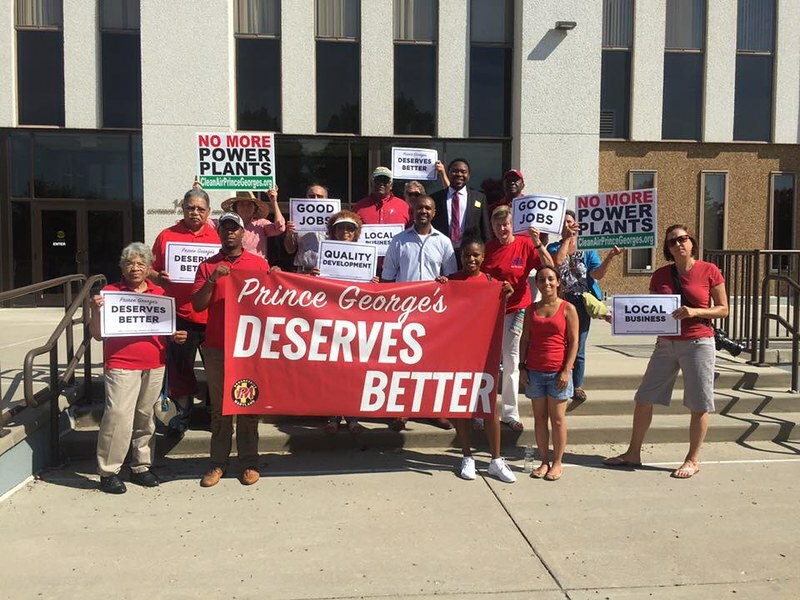 In Prince George's County, residents rallied against a proposed 24-Hour Super Walmart in Clinton with a demand that Prince George's County deserves better. Walmart routinely intrudes into neighborhoods, disrupts local small businesses, and undermines workers' rights. 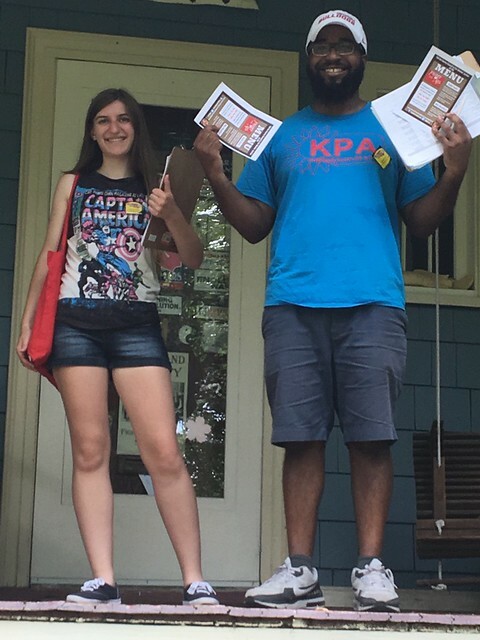 The Fight for 15 and the push to include tipped workers was centerstage in the Montgomery County canvass. Residents were overwhelmingly in support of the campaign, and many were shocked to learn that the minimum wage for tipped workers is frozen at just $4/hour and enthusiastically signed our petition supporting their inclusion in the bill currently being considered by the County Council. Conversations in Howard County revolved around supporting a ballot initiative to create the Howard County Citizens' Election Fund. Such a change would empower everyday people to take a more engaged role in civic life by enabling them to competitively run for office without relying on big money donors. 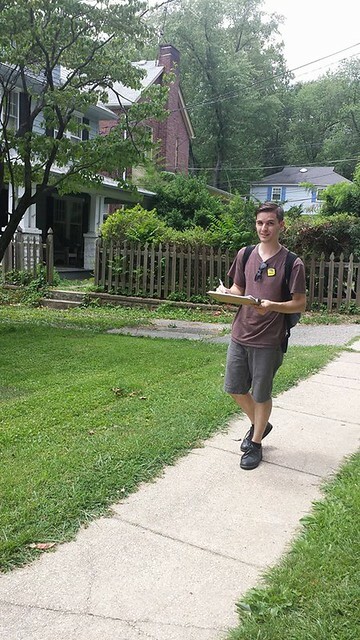 Despite temperatures in the mid- to upper 90s, canvassers were able to knock on over 600 doors and–more importantly–start a dialogue with many residents previously disengaged from political work. Each of these campaigns is ongoing and we always need new people to get involved. To learn more about these issues or to volunteer, visit Progressive Maryland's website. And be sure to follow us on social media via Facebook, Twitter, and Instagram.